There are two worlds of strategy and most people are only aware of one. There is the world of corporate strategy articulated and taught in places like Harvard Business School. There is the world of military strategy articulated and taught in the various service war colleges. These two worlds never interact in any meaningful or sustained manner. As a result, strategic leaders in our society are not as effective as they could be and organizations implode from self-inflicted strategic mishaps at an alarming rate. Peter Senge once observed that the average large firm lives only half as long as the average person. It is reasonable to conclude from this observation that there are a great many strategic leaders making a great many bad strategic choices every single day. Having a limited understanding of strategy, based on a familiarity with only one of its two worlds, increases the chances of producing a bad strategy. In the United States, the vast majority of people who formally study strategy do so in a business school. Their concepts of strategy derive from the field of strategic management. The field of management is widespread and popular (it is currently the most popular academic major in U.S. universities and, interestingly, with cadets at West Point) but it is also surprisingly young. 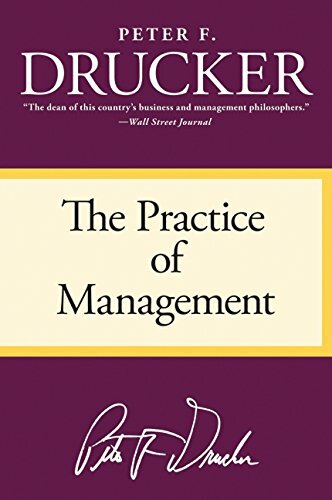 Peter Drucker described his 1954 book The Practice of Management as “the first true management book.” If we date the origin of the field of management to the publication of Drucker’s book, we can conclude that the field of management is younger than Bob Dylan. In contrast, the first true classic from the world of military strategy was Sun Tzu’s The Art of War, which was written about 2,500 years ago. History clearly shows that the concept of strategy originated thousands of years ago with leaders who sought an organized approach to conducting warfare. The world of military strategy is rich and deep but its community is exceedingly narrow in that it is formally studied by only a tiny fraction of budding strategic leaders. Most leaders don’t realize that strategic challenges can be effectively solved by using the complementary knowledge of both worlds. One of the primary reasons why so many people are unfamiliar with both worlds of strategy is that intellectual leaders of both worlds studiously ignore each other. Scholars who live in the mainstream of the field of management ignore military strategy. To illustrate this assertion, all one has to do is look at one year’s worth of Academy of Management Review, one of the most prominent management journals. In 2006, for example, Academy published fifty-nine different articles on a broad variety of management topics and these articles cumulatively contained 5,288 citations that were derived from a wide range of academic fields. In order to support their research or develop their theories, the management scholars who wrote these articles used knowledge from almost a dozen different academic fields such as economics, sociology, and psychology—even philosophy. Classifying the academic origin of every citation is the equivalent of developing an intellectual x-ray of every article. What is interesting in this case is that not one single citation of more than five thousand citations derived from the field of military strategy. For their part, those in the military world return the favor. Generals who worship at the altar of leadership routinely scorn the insights provided by scholars and practitioners in the world of management. There is an entire field of human thought devoted to planning, organizing, leading and controlling organizations. It is called the field of management. One would think that those who are responsible for planning, organizing, leading and controlling one of the world’s largest organizations would be interested in the field of management. An examination of the latest professional development reading list issued by the U.S. Army Chief of Staff shows otherwise. Although the 2017 reading list consists of 115 books, not one single one of these books is from the field of management. It is worth an effort to integrate these two worlds of strategy. Concepts from the world of military strategy are valuable and relevant to the corporate world because strategic considerations consist of more than financial considerations. Two hundred years ago, for example, Carl von Clausewitz provided insights into human behavior and how it changes when placed in circumstances of risk, uncertainty, and stress. It has been said of Clausewitz: “His is not simply the greatest, but the only great book about war.” Clausewitz defined war as “an act of force to compel our enemy to do our will” and he was astute enough to recognize the inevitable corollary—when force is used “the emotions cannot fail to be involved.” Clausewitz provides fundamental insight into the nature of strategic thinking that extends far beyond the boundaries of the battlefield. For Clausewitz, the behavior and emotions of people must be taken into account when implementing strategy. He noticed that commonplace tasks are easy to perform in peacetime but are extremely difficult to perform on the battlefield. In effect, Clausewitz recognized that human behavior in strategic situations will display a great deal of variability due to the degree of risk, uncertainty, and complexity that is normally found in strategic situations. This variation in human behavior (which Clausewitz called friction) has profound consequences for strategy. Several years ago, a group of young infantry officers in Afghanistan were in a videoconference with cadets in a Thayer Hall auditorium at West Point and the topic of conversation was the challenge of leading soldiers in combat. One of the cadets asked the officers about their first day in combat. One lieutenant paused for a moment and replied that the biggest surprise during his first firefight was that he felt about ten seconds slower than everyone else. The lieutenant was describing (at a tactical level) Clausewitz’s idea of friction. Does friction exist in the corporate world? To answer a question with a question—does risk, uncertainty, and complexity exist in the corporate world? Companies frequently play for high stakes and the logic of risky choices is not always clear to everyone with a stake in the organization. In 2011, the board of JCPenney hired an outsider by the name of Ron Johnson as CEO. Johnson was a disciple of Steve Jobs and had made his reputation by creating the wildly successful Apple Stores. The JCPenney board hired him as CEO because they expected him to rapidly transform a dowdy retailer that was chronically suffering from disappointing sales. But according to a Fortune article, “the only thing speedier than Johnson’s planned changes was the velocity with which they unraveled.” Long-time JCPenney employees were stunned at the audacity of Johnson’s transformational plans, and board members were aghast at the immediate and catastrophic drop in JCPenney sales. The board of directors quickly lost faith in Johnson and, within 18 months of being hired as CEO, he was ousted. Friction, indeed. Clausewitz wrote in an unparalleled way about the nature of strategy and he provides valuable insights that have been treasured by military strategists ever since. Despite this prominence, it would be a surprise if he is mentioned in any popular strategic management textbook with so much as a paragraph. Porter’s ideas are relevant to military strategy because he greatly expands our thinking about the links between competition and strategic success. More than two thousand years ago, Sun Tzu said that strategic success flows from knowing one’s self and knowing one’s enemy. Ever since then, military strategy has focused on this polarity, but Porter points out that success in a highly competitive world depends on far more than awareness of one’s organization and the direct competition. At the risk of drastically oversimplifying Porter’s ideas, consider the strategic situation of a modern retailer. The profitability (aka strategic success) of this retailer is not simply a function of its direct competitors. It is, among other factors, a function of the leverage possessed by its suppliers as well as the ever-changing expectations of its customers, which, in turn, are shaped by never-ending waves of social, demographic, and technological change. Although Porter has proved to be astonishingly influential in the world of corporate strategy, he has yet to influence, in any meaningful way, the world of military strategy. An examination of every reading list put out by the U. S. Army Chief of Staff in the last decade would reveal that 240 different books have been recommended for the professional development of soldiers. Not one of these books was written by Michael Porter. Although war is a uniquely military activity because of the threat or use of violence, organizations that go to war share many characteristics with civilian organizations. Military cases, military leaders, military strategy—all of these elements make up a detailed tapestry of strategy and leadership that has developed over the course of thousands of years. They provide a rich and nuanced perspective on aspects of the human condition that is invaluable to those seeking to develop themselves as strategic leaders. Military strategists and military thinkers provide insights rarely encountered elsewhere; they are insights built on a foundation of centuries of intense strategic activity in the military world. Although war is a uniquely military activity because of the threat or use of violence, organizations that go to war share many characteristics with civilian organizations. Both have organizational structures that can either inhibit or promote the flow of information. Both have tangible and intangible strategic resources, which, if cultivated properly, may bring competitive advantage. And all organizations, whether they wear business suits or battle dress uniforms, choose some type of process by which strategy is shaped and implemented. We need collaboration between these two worlds of strategy—journal articles, websites, and conferences. Mostly, what we need to bridge the two worlds are leaders who are aware that there are two worlds of strategy and who demand to know about both. Dr. Mike Hennelly served in the U.S. Army for 21 years, taught at West Point for twelve years, and now provides seminars on strategic leadership to executives from some of the world’s largest companies. Senge, Peter. 1990. The Fifth Discipline: The Art and Practice of the Learning Organization. New York: Doubleday. P. 17. Hennelly, Michael. 2017. This topic was developed at length by the author in an article entitled “The Army Reading List.” It was posted on Tom Ricks’ weblog The Best Defense on 21 Sep 2017. Clausewitz, Carl von. 1976. On War. (Edited and translated by Michael Howard and Peter Paret). Princeton University Press, p. 75. This videoconference was witnessed by the author in September, 2010. Reingold, Jennifer. 2014. “How to Fail in Business While Really, Really Trying.” Fortune Magazine, vol. 169, issue 5, 7 April 2014. p. 80. Surowiecki, James. 1999. “The Return of Michael Porter,” in Fortune Magazine, vol. 139, issue 2, 1 February 1999. p. 135. Porter’s popular article in Harvard Business Review is entitled “What is Strategy?” and was in the Nov-Dec 1996 issue.